A 31-year-old man is in a serious condition in hospital after he was stabbed during a car-jacking. 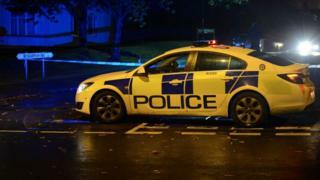 The victim was stabbed in the chest at about 19:45 BST on Friday before his car was stolen on Bunbury Road in Northfield, Birmingham. It is understood the man, from Bromsgrove, was walking to his car when he was attacked before the knifeman drove off in his silver VW Golf GTi. The victim's injuries are not thought to be life threatening. The assailant is believed to have been a man wearing a black puffa-style coat, police said. West Midlands Police has appealed for witnesses.